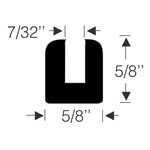 Gasket, window, for models with chrome reveal molding. 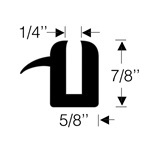 Gasket, window, for models with heavy weatherlip and notch for bead reveal molding. 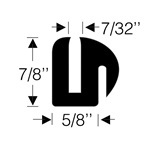 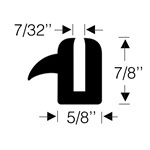 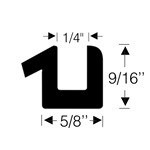 Gasket, window, for models with plain "U" channel five eighths (5/8) inch high. 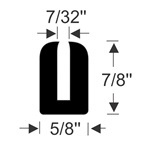 Weatherstrip, window, for models with lip for attaching bead molding.